There is no doubt that doesn’t fulfills OnePlus One’s tag line ‘Flagship Killer’. Since after the launch of the device people still need to wait for the invite to from someone who own the device. This policy if marketing this device makes more popular. 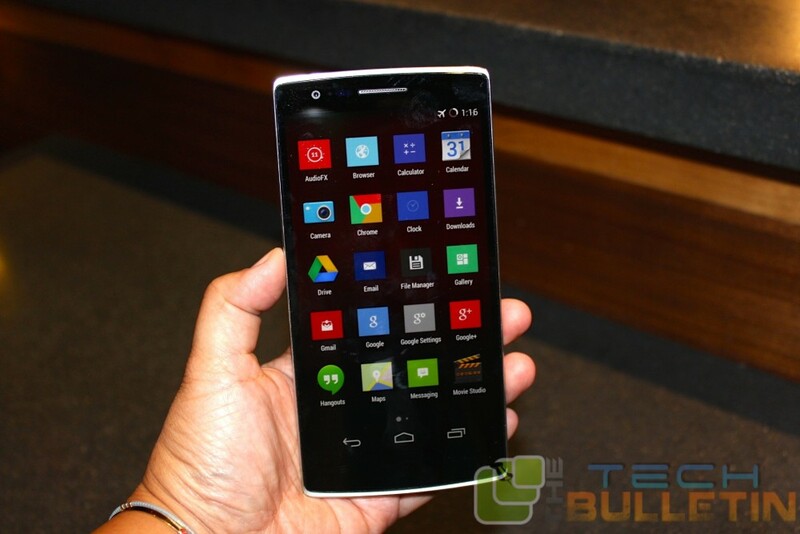 OnePlus One runs the very popular custom ROM CyanogenMod 11 that adds extra features. Even Google tries to acquire CyanogenMod but they denied the offer. Now the point is when Google can go for CM then why you don’t. As we know CyanogenMod is very popular among Android that offers better flexibility, performance enhancement, battery power management and simply more than a normal custom ROM offers. So here we will guide you to restore OnePlus One to Stock ROM. Note: Installing third party images and ROMs might void your warranty which may cost you much in case of any misfortunes during some installation or something. You should be sure to have a contingency plan in case of any trouble. The process is very simple, just need to do some bunch of clicks and you will be back to the Stock ROM on your OnePlus One. So let’s see how to restore OnePlus One to Stock ROM. This method is only available for OnePlus One smartphone, don’t try this method on any other device. Your device must be charged up to 60%. Install proper USB driver on your PC to help to detect your device. Enable USB debugging mode, Settings Developers Options. Your device must be unlocked to bootloader. Find the guide first to do that. Once after downloading the ADB/Fastboot on your PC and extract it to your PC. Then go through the Fastboot folder and extract the firmware folder to same folder. Now in the extracted folder you will see a file called ‘flash-all.bat (Windows) or flash-all.sh (Linux)’, these are one click installer. You just need to reboot your device into fastboot mode and then connect it to your PC. Now click on the flash-all.bat or flash-all.sh (depending on the Operating System). The flashing process is automatic and the phone will reboot once the flashing is complete. During the bootloader unlock process, a tamper/unlock flag is set which will indicate an unauthorized flash on your OnePlus One. So we need to restore these flag bits as well. For that you need to install any custom recovery , here is the guide that will help you get the custom recovery easily. Read Here. Download Boot unlocker script , and flash it via the recovery. That’s it, you have successfully restored your OnePlus One to Stock ROM.